Welcome to part three of our postpartum diaries series. Part one focused on hair loss and part two on weak nails. Over the course of this series we will be looking at a range of issues that can affect women in the postpartum period. This period is normally talked about as beginning the moment after the birth of your child and lasting six weeks after birth. The reality is however, that many of the issues we will be highlighting are far more long lasting than that. There are so many changes going on inside your body when you are pregnant and then in the postpartum period that it is hardly surprising that changes show on the outside. With regards to the skin, these changes can vary from mother to mother. Some women experience very dry skin; some just patches of dry skin, often in random places; some women develop very sensitive skin; some develop acne, reminiscent of the teenage years; some develop stretch marks; some will experience a change in the pigmentation of the skin; some get broken veins appearing and for some women their skin is incredibly itchy. If you are really unlucky, you might get a number of these both during and after pregnancy. As with lots of things we have those lovely hormones to thank for a great deal of these changes. Alterations in your circulation and your immune system can all have effects on your skin. Also some women just become more sensitive to things in general during pregnancy. Whilst many of these things clear up after your baby is born, often they persist (to a lesser degree) for sometime afterwards. My skin was very dry during my pregnancies but not all over. I had random patches on my body which were dry and then itchy. Now my skin in general is much dryer than it was previously. Some broken veins have developed, post pregnancy and my skin has remained quite sensitive. Drinking more water can be so good for skin problems in general. I am not the greatest at this at all but I know that when I do focus on drinking loads more water my skin is much less dry and looks better. You can get specialist products for stretch marks and veins which you might want to look into if you feel they are particularly severe. I like bio oil as I feel it is a good all-rounder. Reasonably effective on stretch marks but very effective on dry skin and ageing skin and very good when my hands get dry and sore. Taking a supplement when you finish breastfeeding might be beneficial. You can get specialist skin, hair and nails supplements which might give you a boost. You could look at introducing a few new things to your diet. Try eating more oranges, red berries, oily fish, avocados, almonds and tomatoes. Sometimes you can feel much better about your skin by just changing a couple of things to your routine or by introducing a new product – I finally fixed my dry cracked heel, brought on by pregnancy by using a foot file then applying loads of Vaseline and wearing a sock to bed…only took six months, yawn! 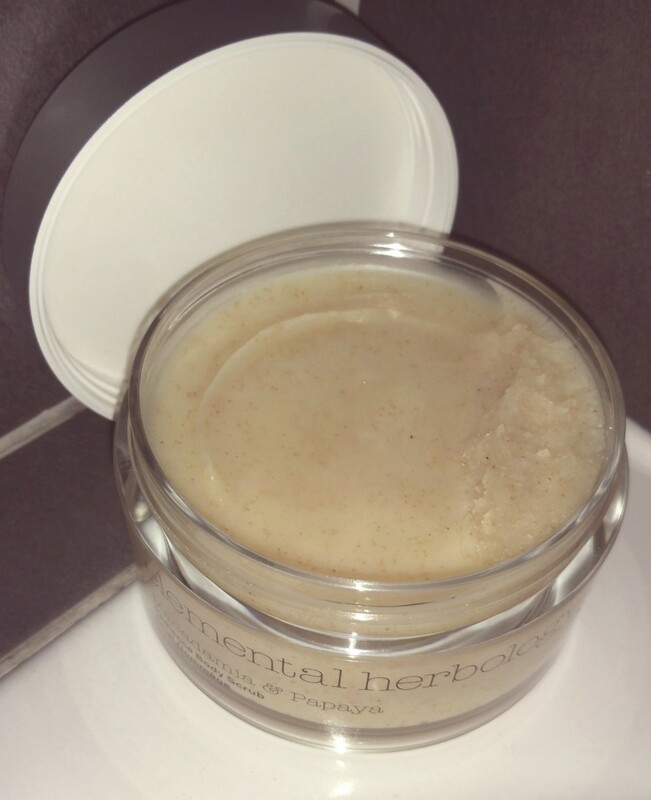 elemental herbology: radiance body scrub – Sheds dry and flaky skin, softening essential fatty acid rich bio-oils. Leaves skin silky smooth, fresh and renewed. Just having a few nice products to use can make the world of difference to how you feel about your skin. My hands have been really dry lately and so I tried some of the radiance body scrub on them. I used a very small amount and massaged it in to my dry hands for a couple of minutes, before rinsing with warm water. I quickly applied my normal hand cream straight afterwards and even after a long, busy day they are still soft and supple instead of tight and sore. 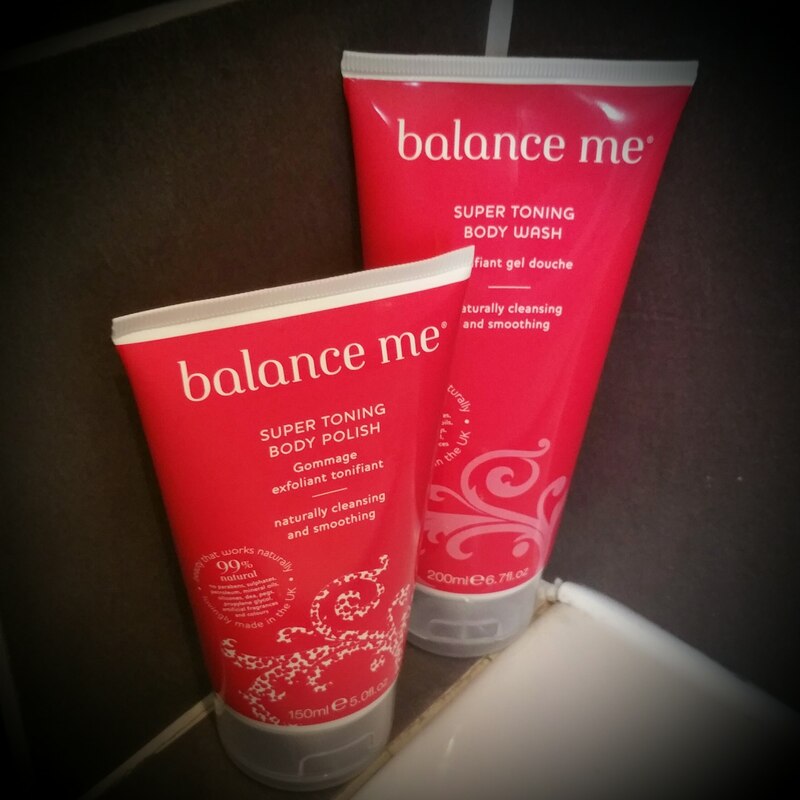 The combination of the body wash and polish works really well and if you have had a rough night with the little ones this should start the day off well as it smells amazing! What are your top tips for skin issues after babies? That’s very true – the dry skin is annoying, I’ve spent months trying to get rid of mine and tried so many things, when what worked was basic . I totally agree that nice products make a big difference. I stuffered a lot with dry flakey skin on my face after pregnancy – it would literally peel off like sunburn.